Should you use Hand Sanitizer? Grab it – Wipe it Squirt it – Rub it. It is the hand sanitizer boogie. OK, so perhaps I won’t attempt to turn this to the next Gangnam Style dance craze. Despite the fact that, I think it is. Hand sanitizing is a favorite practice and available at grocery cart channels, banks, schools and other public places where your hand could potentially touch where someone else’s hand – or hands – has already been. And you have no idea where those hands have been before. Just the idea makes you catch the nearest available hand sanitizer, which very well could be in your pocket, jacket or purse. The use of hand sanitizers is a practice of keeping pathogens, virus bugs and bacteria from doing their sneezing, wheezing and, from time to time, nauseating strikes on we humans and our kids. Good or bad, we’re a germaphobic society. The awareness that germs cause illness, disease and even death has been one of the more valuable discoveries in medicine. The question on the minds and lips of a few is – have we taken it too far? However, I mostly say this since germaphobia may be unhealthy, both emotionally and physically, that has been shown by the creation of seriously deadly antibiotic resistant bacteria and the stress that some people put themselves through over preventing germs – the constant strain of disinfecting every inch of their environment. Awareness is great, paranoia into the degree of overdoing is not. In regard to hand sanitizers, there’s both the good and the bad. Among the arguments made against using hand sanitizers is that their use may inhibit the building of adaptive immunity in children. Adaptive immunity is the function of the immune system which produces a defense against parasitic microorganisms that previously have infected the body. In other words, it’s good your kids get sick. This protects them later in life. Its debatable whether using a hand sanitizer has a powerful negative effect on adaptive immunity. Research does show that using hand sanitizers does cut down on sick days taken by school kids, but isn’t clear on whether this cuts down on the amount of illness children develop throughout childhood. The fantastic thing is, triclosan isn’t even necessary in a hand sanitizer. The major ingredient in the most effective hand sanitizers is alcohol. The content must be at least 60% ethanol (alcohol) for the merchandise to be 99% effective. Pure ethyl alcohol (ethanol) is, debatably, a better choice than isopropyl alcohol (isopropanol). There appears to be no resistance developed by germs to alcohol – hence there are no alcohol resistant bacteria as there are antibiotic resistant germs. The impact on the microbiome that alcohol has on the skin isn’t definitive. The concern is very similar to antibiotics and their disruptive affect on the intestinal flora of the gut. The jury remains out on this one. I advise caution and a leaning toward limited, or no use of sanitizers, in order not to undermine the natural flora of the skin. Now, let’s look at obsessive hand sanitizing. Alcohol may be drying to the skin and does interact with the lipid barrier – protective chemical layer – of the skin, which provides a barrier and partial immunity to skin. In 1 report there showed no break down of the lipid barrier with caregivers using an alcohol based sanitizer once the sanitizer also contained a moisturizer. Many sanitizers have aloe or glycerin which would count as moisturizers. I’d raise caution with continuous use of alcohol sanitizers and highly recommend, if over sanitizing is called for, using a hand cream occasionally throughout the day which contains similar lipids as those found in the skin’s barrier. In conclusion I would have to say that you ought to avoid anything with triclosan in it. 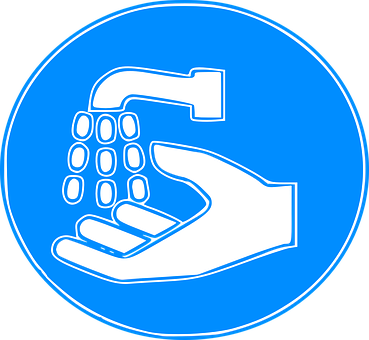 Wash your hands frequently – though this may cause irritation to the skin greater than an alcohol sanitizer if the soaps are too harsh, which many are. If you have to use an ethanol based alcohol sanitizer do this only when necessary. Stop being paranoid and a germaphobe, it might cause unnecessary stress. The best advice would be to support your immune system and your immunity to pathogens through a proper diet, supplements, sufficient sleep, Raccoon Control, de-stressing and a few daily drops of an essential oil like MQV diluted in massage oil and rubbed across the chest, back of the knees and feet. In my next article I will offer some very effective alternatives to many hand sanitizers. Of course they will contain well known antibacterial essential oils.